A recently announced fair housing agreement by the State of Maryland with HUD is a great victory for fair housing. It recalls two of the great fair housing consent decrees: United States vs. Yonkers (1985) and Thompson vs. HUD(2005). 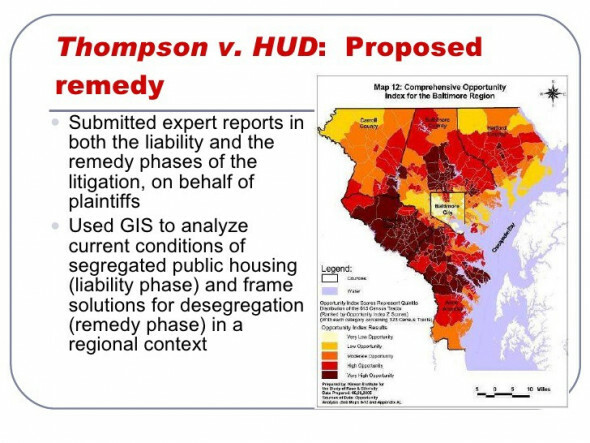 But where the Yonkers consent decree (chronicled in two amazing media productions here and here) built public housing within the City of Yonkers, Thompson vs. HUD focused its strategy more on sending Black folks with vouchers to the surrounding suburban counties outside of Baltimore City. In many ways, the Thompson vs. HUD housing mobility strategy should be celebrated. Indeed, for the Black families that move, research shows improved health, labor, and educational trajectories for many Black children. This certainly deserves great acclaim and applause. But the more I think about the spatial and economic impacts of housing mobility as a fair housing strategy, the more I am troubled by its effects in Baltimore City. Housing mobility via Thompson vs. HUD has given nearly 3,500 Black public housing families the opportunity to move from Baltimore City to surrounding counties. But in the process of doing so, many Black children are leaving the city. Because these children lived in segregated Black communities, many Black public schools were and continue to be disproportionately affected by the declining student population as these schools lose the per pupil funding dollars that go with each student. So Black public schools are negatively impacted. Then on top of that, Black public schools are targeted for permanent closure based on small and declining enrollment. This means Black neighborhoods lose a critical community institution and often a cultural legacy and memory associated with schools named after Black historical figures (i.e. W.E.B. Du Bois and Langston Hughes). In this way, desegregation policy furthers racism through divesting resources in Black schools and neighborhoods. Housing mobility is often touted as an anti-racist strategy, but without making Black neighborhoods matter and maintaining funding for Black public schools, housing mobility is destabilizing Black Baltimore. a) Devising a school funding formula for Black schools that counteracts the loss in per pupil funding (and actually adding funding to address a wide-range of needs). b) Dismantling racially exclusionary snob zoning laws in the city so we could build and house Black folks in exclusionary White communities like Mt. Washington, Roland Park, Guilford, Homeland, and Bolton Hill. This would help accomplish desegregation without losing city population. It could help keep money within the school district to be reallocated towards Black schools that lose funding. c) Making Black neighborhoods matter. Rebuilding attractive, lead free public housing in Black neighborhoods. Wiping out public and private redlining so that these communities would have the resources (under democratic community control) to thrive instead of being resource deserts. Funding should be allocated not just to buildings, but people. Funding should be allocated not just to individually-owned businesses, but Black-owned worker, housing, energy, and food cooperatives. To be clear, I am not arguing that housing mobility is a bad fair housing strategy. 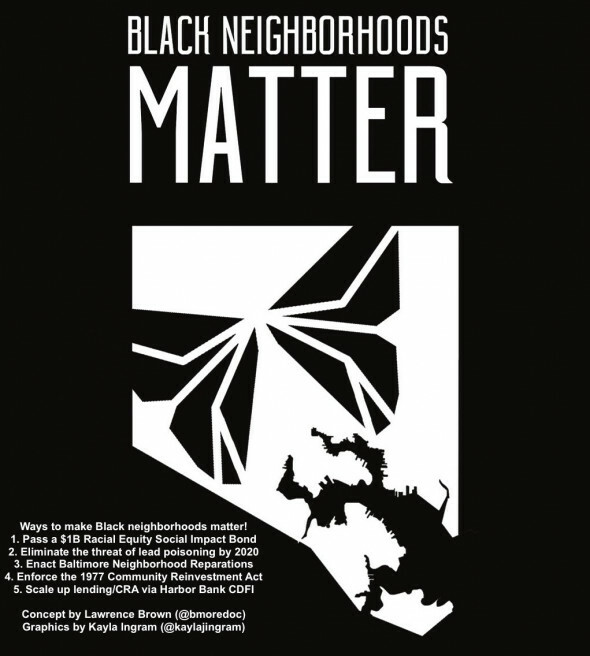 What I am stating unequivocally is that a single-minded devotion to housing mobility without counteracting the loss of school funding, stopping the closure of Black schools, and making Black neighborhoods matter allows housing mobility policies to function as a form of depopulation and destabilization for Black schools and Black neighborhoods. These are the actions that true desegregation and racial integration would accomplish.